To celebrate International Women’s Day, the Sanger Papers want to remind everyone that the struggle to acknowledge the contributions of women is unfortunately not new. In that spirit, we thought we’d look back at an article published in our newsletter in 1994. “We have worked intensively on this project; forming the organization first, raising money, collecting archives and, perhaps even more important, trying to make the United States archive minded….We have opened the minds of people all over the country to the necessity of collecting and preserving archives – especially about women.” (Sanger Papers, Library of Congress) While this sentiment accurately reflects the goals of the Margaret Sanger Papers Project (and most women’s archives and editing projects), the statement was actually made on September 16, 1940 by Inez Hayes Irwin describing the struggles of the World Center for Women’s Archives (WCWA). 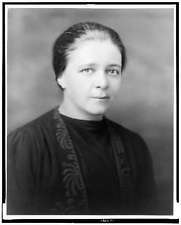 Historian Mary Ritter Beard had founded the WCWA out of frustration over the difficulty she encountered in trying to locate women’s papers. Beard realized that before historians could examine or interpret women’s contributions to civilization and incorporate their accomplishments into their books and curricula, they needed to examine primary source material on women’s lives. But such material was not easy to find. Beard’s quest to collect and preserve the documentary evidence of women’s history began in earnest when, in 1935, she was approached by Hungarian-born pacifist-feminist Rosika Schwimmer with the idea of establishing a center to document women’s roles in the peace movement. Beard quickly expanded the idea to establish an archive and education center for the study of women. 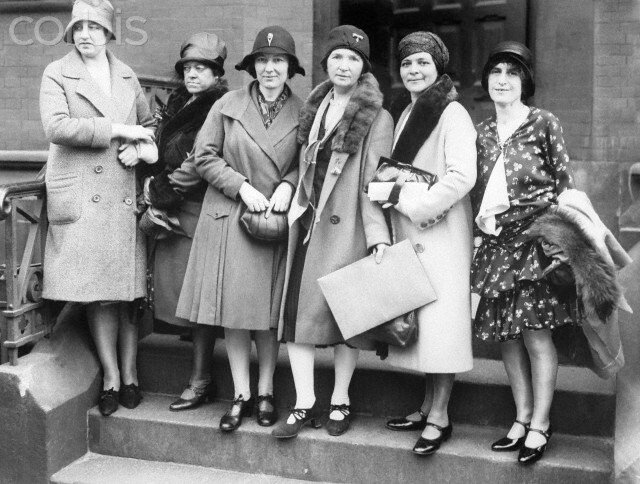 The World Center for Women’s Archives (WCWA) had its first organizational board meeting in New York on October 15, 1935. In addition to appointing a board of directors (chaired by Inez Hayes Irwin) as its main decision-making body, the inaugural meeting invited well-known women sponsors to serve in an advisory capacity. With endorsements from prominent women like Eleanor Roosevelt and Frances Perkins, and support from Fannie Hurst, Mary Ware Dennett, Georgia O’Keefe, Katharine Houghton Hepburn, Mary Van Kleeck, Juliet Barrett Rublee, Alice Paul and Margaret Sanger, among others, the WCWA was officially launched on December 15, 1937, at the Biltmore Hotel in New York City. In the four years of its existence, the WCWA helped highlight the richness and depth preserved in the records of women’s history. Its preliminary work in soliciting women to donate, deposit, or pledge their papers and records to an archives proved to be invaluable. Materials which were promised to the WCWA included the records of the National League of Women Voters, the National Consumer League, the National Council of Jewish Women, and the National Association of Women Lawyers. Among the women who pledged their personal papers to the Center were Ida Tarbell, Eleanor Roosevelt, Carrie Chapman Catt, and Judge Florence Allen. Among the collections in the Center’s possession at the time of its dissolution were those of Lillian Wald, Kate C. Hurd-Mead, Catherine Beecher, and an impressive collection of records, maps, and charts belonging to Amelia Earhart. Although predominantly reflecting the achievements of notable white American women, the WCWA also collected materials concerning the women’s movement in Germany and the history of Japanese women from the mythological age through 1935. Prefiguring the emergence of the new social history and feminist history, the founders defined the WCWA’s collection mission broadly, asserting that women’s history would be found not only in the written record, but also in oral histories, objects and artifacts. They mounted an exhibit of Native American women’s pottery that included a pictorial history and ancient medicine aprons which told the lore of herb women. From its offices in New York and Washington, the Center also compiled and distributed lists of secondary sources essential to the study of women, served as a clearinghouse for information about women at other institutions, and furnished information for a series of radio talks on women in American society. After the Center’s closing, the collections gathered by the WCWA were either returned to their owners or entrusted to other repositories. Yet the WCWA left a lasting impact as several colleges and universities began collecting source material for the study of women, and individual women became aware of the importance of taking steps to preserve the records of their lives. Although Margaret Sanger never donated her letters to the WCWA, less than two years after it was disbanded, she began to transfer the first large collection of her papers to the Library of Congress; in 1949, encouraged by her close friend Dorothy Brush, Sanger donated her other papers to the Sophia Smith Collection at Smith College. Ironically, Mary Beard destroyed the majority of her own personal papers. Committed to “put women in the record,” Mary Beard and the WCWA sought to do what the Sophia Smith Collection (Women’s History Archive) at Smith College and the Schlesinger Library at Radcliffe College are in fact doing – collecting and preserving the records of American women’s history. At the same time, editing projects such as the Sanger Papers and other women’s editions are working to assemble and disseminate women’s papers through both print and digital technology. While Beard’s notion of one central archive for women’s records and papers remains the stuff of dreams the possibility of making it a reality is increasingly viable. Technological advances such as digital image storage may provide a way in which one central database can access images of hundreds of thousands of women’s records and papers. As the Sanger Papers project explores these new methods of disseminating the records of Sanger’s life, we are hopeful that it will take us a step closer to making Beard’s dream a reality. In February of 1937, Margaret Sanger was invited to speak at the Hotel Hilton in El Paso,Texas to celebrate the opening of the El Paso Mother’s Health Center (which would later become the El Paso Planned Parenthood). However, due to pressure from local Catholic groups, the event was moved to the Hotel Paso del Norte. The event was hosted by Health Center Chairman, Beth Mary Goetting and the Birth Control Clinic Committee. Sanger spoke in front of some 350 El Pasoans including a number of local clergy and doctors. She expressed the hope that clinics would be established both on El Paso’s north and south sides. Clinic equipment and supplies were provided by the Birth Control Clinical Research Bureau. El Paso people are the first to take advantage of the December 7, United States Circuit Court of Appeals ruling that physicians might send contraceptives by mail – an act considered hitherto illegal…Now doctors need not fear a $500 fine, or five years in the penitentiary for administering a simple, scientific preventive to a woman who is not able to bear a child. I am particularly proud of the fine work being done in El Paso and I feel that your group has much to offer to others interested in advancing the birth control cause in Texas. From 1937 – 1938, the clinic served over 600 patients. By the time of it’s closure in 2010, the clinic was serving more than 10,000 local women providing prenatal and postnatal information and healthcare including affordable HIV/AIDS testing. The Hotel Paso del Norte is a historic hotel located less than one mile north from the United States-Mexico border. The hotel, designed by Trost & Trost, was opened in 1912. 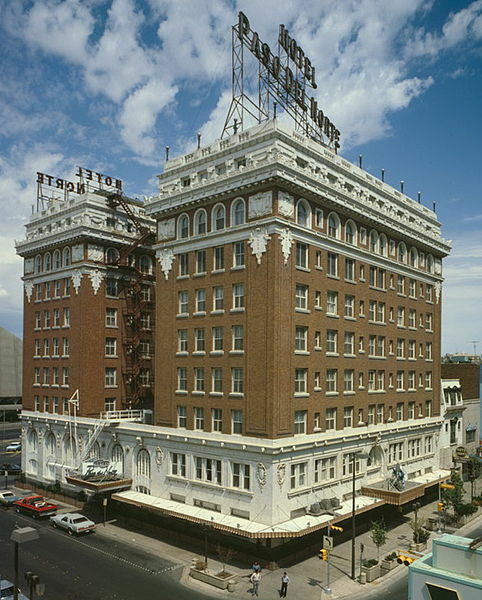 Added to the National Register of Historic Places in 1979, the hotel was extensively remodeled in 2004 and renamed the Camino Real El Paso Hotel. All quotes from documents accessed through the MSPP’s Microfilm Files. As we move into the year 2014, we also come across a slew of new anniversaries to celebrate, and a look at the history of Margaret Sanger is no exception. 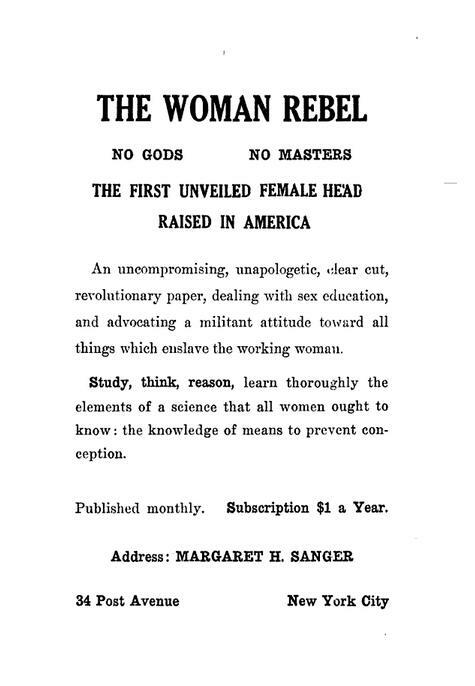 1914, the month of March to be exact, marks the 100th anniversary of the publication of Woman Rebel, a radical feminist monthly published by Margaret Sanger publicizing what would be called “birth control” in just a few months. The journal published the first use of the term “birth control,” a term that Sanger built into one of the most significant reform movements in the 20th century. This apartment building replaced Sanger’s original apartment in 1920. The humble beginnings of Woman Rebel took place in New York City during January of 2014. 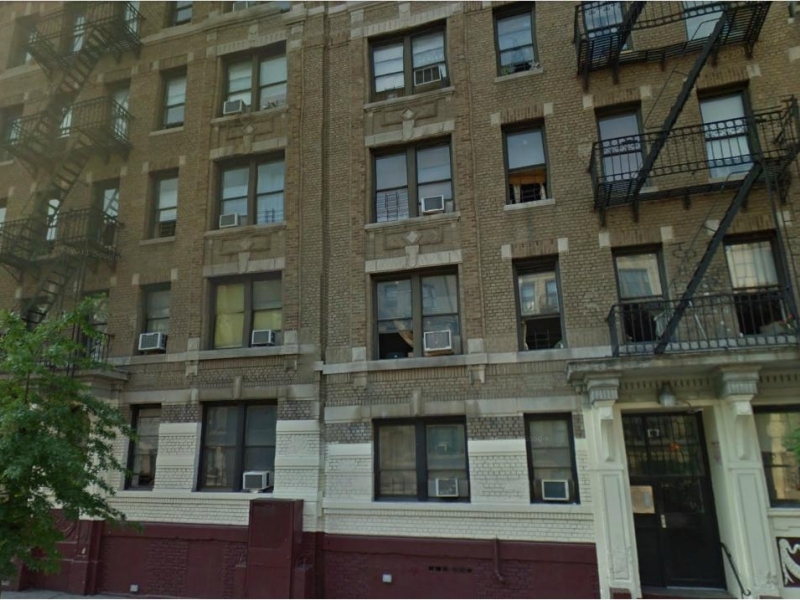 After leaving her husband, William Sanger, to paint in Paris, Margaret Sanger rented a “dingy” apartment at 34 Post Avenue in Upper Manhattan and moved in with her and the children. From there, she and a group of anarchists developed the Woman Rebel and the early arguments of the birth control movement. Who were these mysterious, unnamed men who helped Sanger get started? Although often referred to as “secretaries,” Edward Mylius, Robert Parker, and Otto Bobsien were not only part of Sanger’s inner circle, but played an integral role in the creation of Woman Rebel. Scarce documentation survives about these three men. Edward Mylius was a British citizen who fled to the United States after publishing an libelous, anarchist paper in Paris “declaring that the King of England had once contracted a morganatic marriage” (My Fight). He wrote one credited article in Woman Rebel (“Freedom in America, Union Square, April 4, 1914,” Woman Rebel, Apr. 1914, 11), but was dedicated to the feminist monthly. A failed playwright, Robert Parker often served as Sanger’s ghost writer and editor. 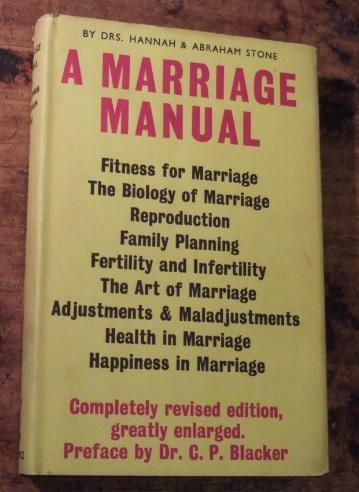 Although Margaret Sanger claimed she invented the term “birth control”, it was actually Parker who suggested the term after connecting the importance of control with their goal of contraception. The name obviously stuck, as we use it a century after its coinage. The first to use the term “birth control” in print was actually Otto Bobsien. Bobsien joined the National Birth Control League, formed in 1915 after Sanger fled the U.S. He used Sanger’s list of subscribers and friends of Woman Rebel for the new league, and Sanger felt betrayed, especially when its president, Mary Ware Dennett, refused to support her case when she returned. It is not surprising that Sanger kept her helpers in the background. The birth control movement was considered a special cause of women and Sanger would build it into her life’s work. But these were the people that Sanger trusted most, and turned to when she needed help getting her paper off the ground. Although the monthly had only seven issues, Woman Rebel helped express her beliefs and distribute them to a larger audience than her speeches alone. 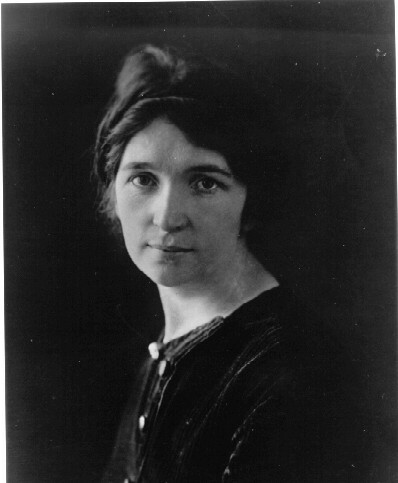 Now exposed to new ideas and people, Sanger felt better equipped to continue on her path to social awareness. For a digital collection of the Woman Rebel issues and documents surrounding its publication and suppression, see http://wyatt.elasticbeanstalk.com/mep/MS/docs/ms-table.html.